Sumak Kilim with Medallion - 2'5'' x 3'5'' Vinatge Charm - this kilim rug is just the thing you need to bring this latest trend into your home. 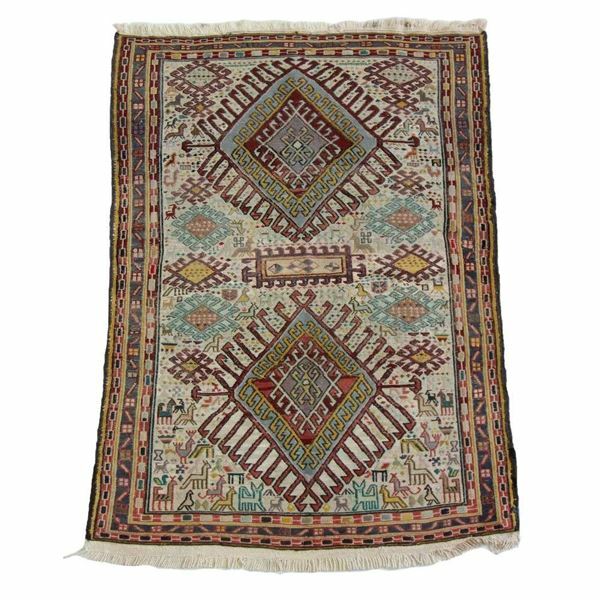 Sumak Kilim with Medallion is wool, flat-weave rug which updates any room's decor with an eye-catching tribal pattern. Much more than ordinary floor coverings, this kilim rug presented itself as a dowry of a bride.